Getting engaged is a huge deal, because you only do it once in a relationship. 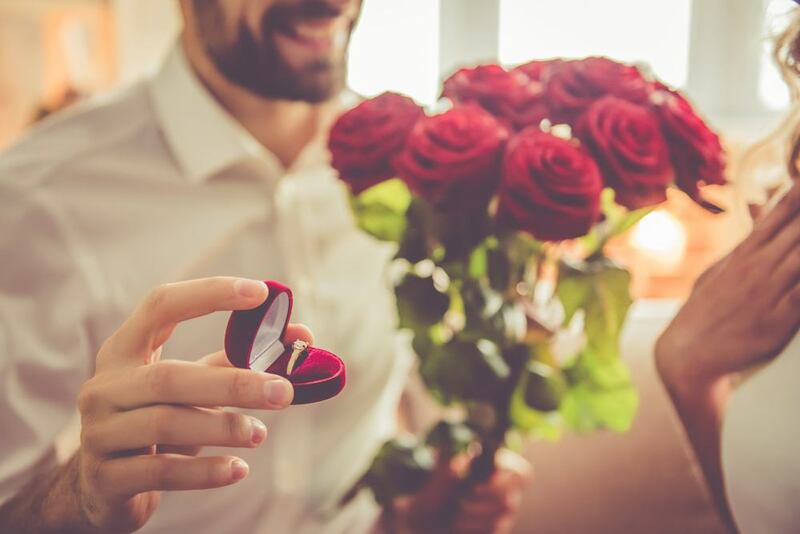 If you’re thinking about dropping to one knee in the near future, it’s crucial to put some thought into choosing the perfect engagement ring for your beloved. Always keep your future fiancé’s hand size and finger length in mind when shopping for an engagement ring. A ring that fits perfectly is a must, so make sure you get her ring size before you place an order. If you don’t know her ring size, there are ways to find out without letting on that you’re going to pop the question. 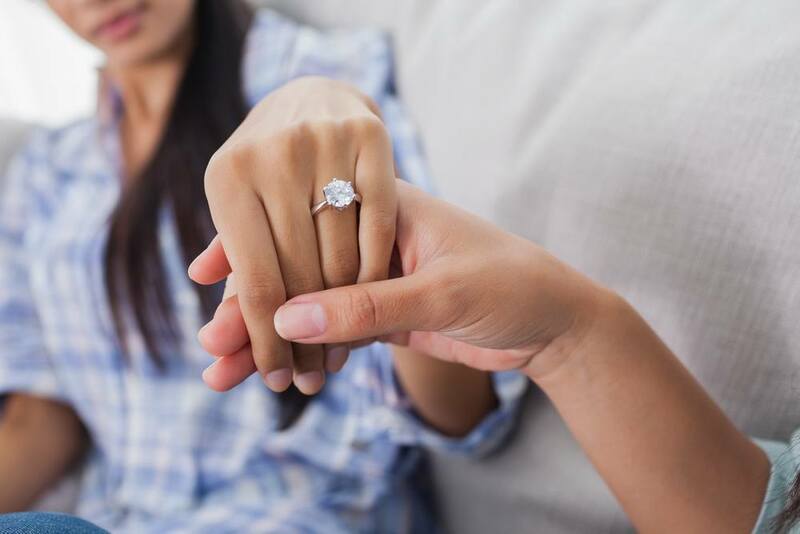 Try getting her ring finger measurement when she’s sound asleep, or “borrow” a ring that she always wears so you can have a jeweler use it as a sizing guide. To help you make the right choice, don’t be afraid to approach experts. 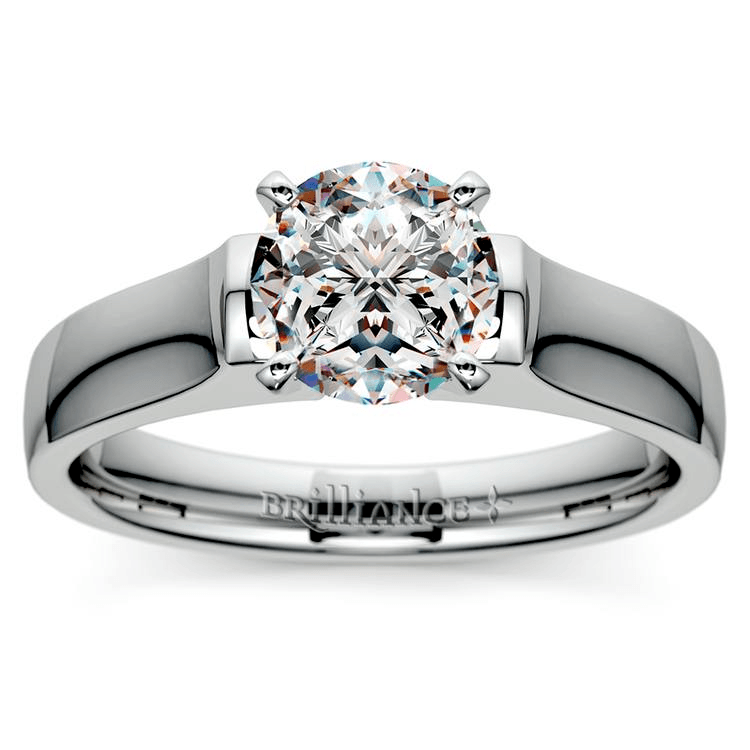 They know which engagement ring styles complement different types of hands and fingers. For instance, if she’s long-fingered, a wider band with a round or square central stone will look especially attractive, while providing balance. If she has shorter fingers, a thinner band with elongated stones, such as pear or marquise diamond ring, would be a beautiful choice that makes the fingers appear long and slender. Wedding rings with a larger stone, wider band and bolder styling make the perfect complement to a curvier bride. 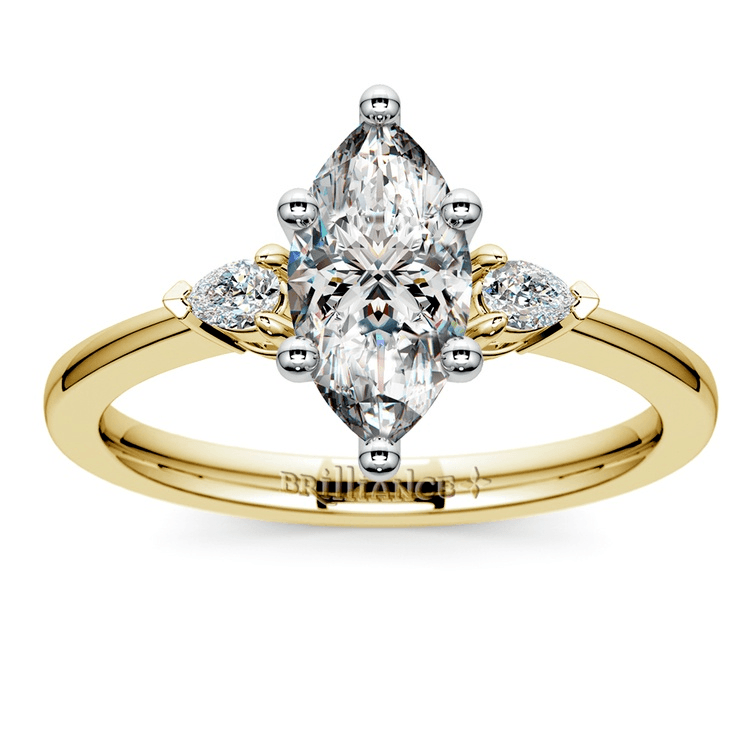 An engagement ring is so much more than just metal and diamonds. A ring symbolizes the lives of two unique people who join together to create a new life and a new story. Are you drawn toward simple engagement rings that symbolize a traditional bond, or an on-trend ring that speaks to your personal lives together? Brilliance.com wishes you a joyous life with your loved one. We believe that you deserve a set of rings that matches your love story. 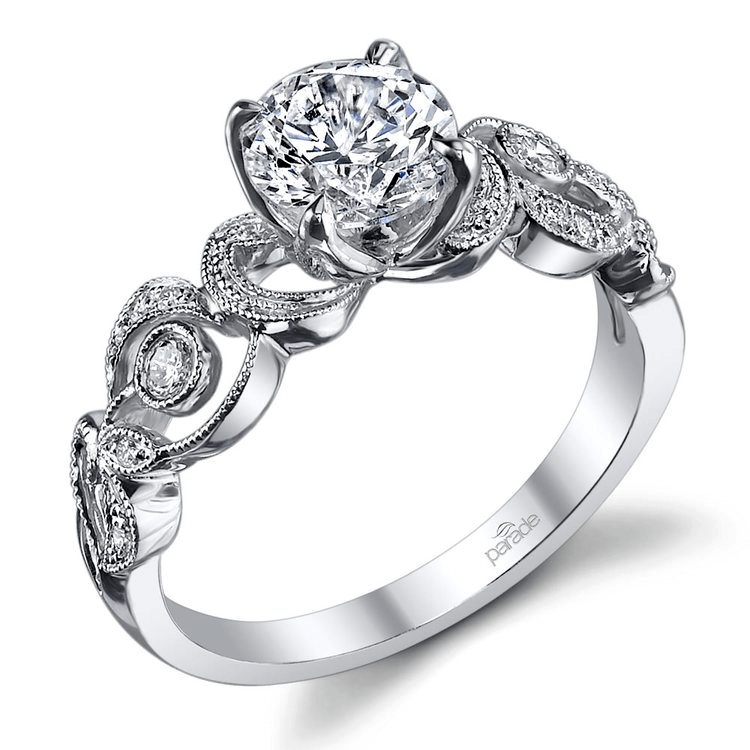 So don’t hesitate: reach out to us today and we’ll help you find the perfect engagement ring for her.